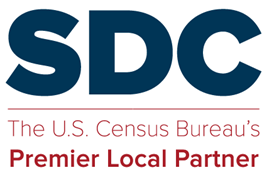 Here is a letter from the steering committee, commenting on criteria for Census Tracts and Block Groups for 2020-29, in response to the Census Bureau’s Federal Register Notice. The letter was sent May 9, 2018. This entry was posted in Sharing and tagged 2020 Census, PSAP, Tracts. Here is a letter from the steering committee, commenting on the Participant Statistical Area Program (PSAP), in response to the Commerce Department’s Federal Register Notice. The letter was sent September 20, 2017.